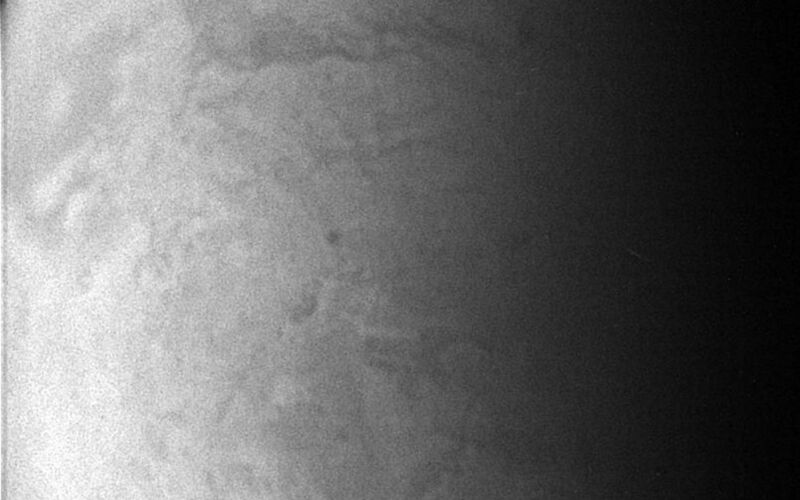 Straining to make out the surface of Titan through its murky atmosphere, the Cassini spacecraft's wide angle camera manages to exploit one of the infrared spectral windows where the particulate smog is transparent enough for a peek. 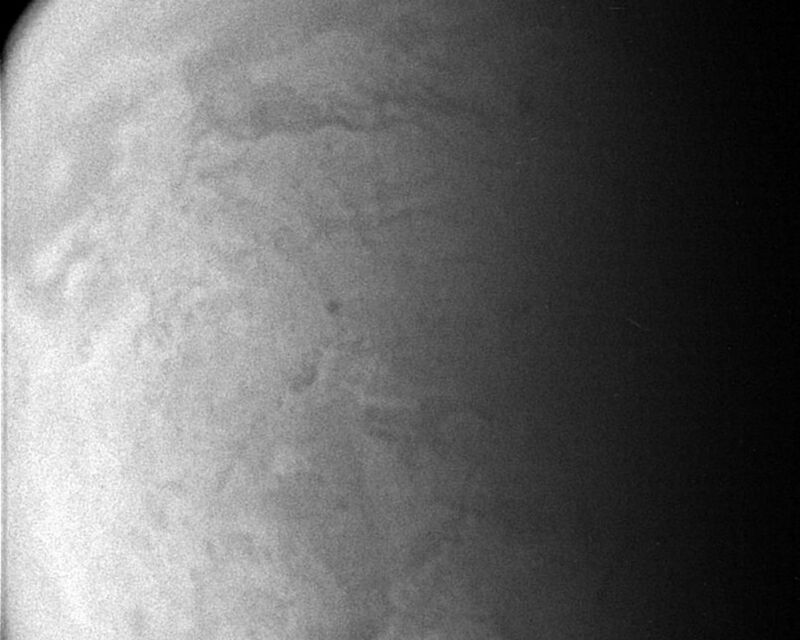 The image was taken with the Cassini spacecraft wide-angle camera using a spectral filter sensitive to wavelengths of infrared light centered at 939 nanometers. 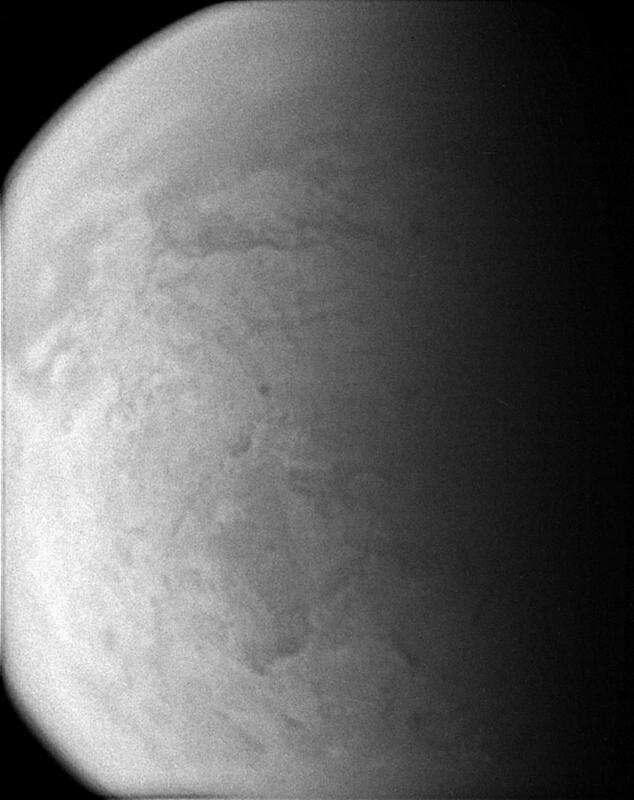 The image was taken on Jan. 29, 2007 at a distance of approximately 79,000 kilometers (49,000 miles) from Titan. Image scale is 5 kilometers (3 miles) per pixel.